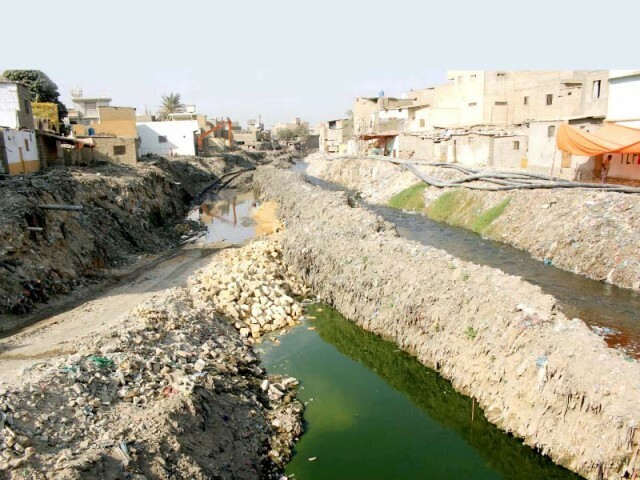 KARACHI: The long-awaited Gujjar Nullah rehabilitation project kicked off without any plan to relocate the settlements in and around the nullah by the Karachi Metropolitan Corporation (KMC) and Sindh government. 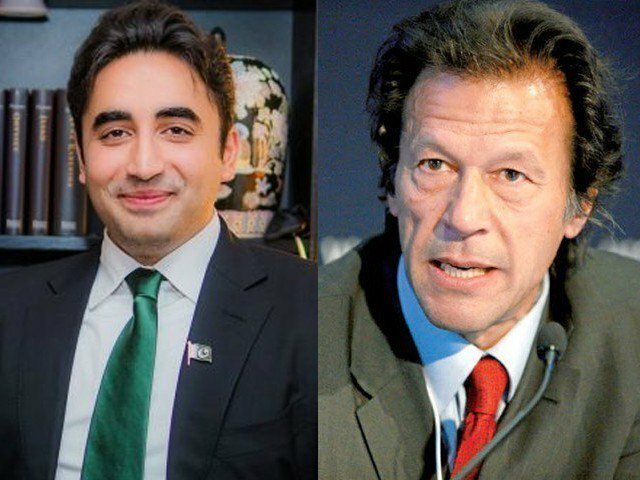 The Pakistan Peoples Party (PPP) and Muttahida Qaumi Movement (MQM)-led Sindh and local governments in Karachi had been keen to initiate this project that dates back to 2007. While the government seems to have high hopes from the project, the residents and experts think it will not materialise. They also dispute KMC claims that it had removed 75% of the encroachments from the nullah. The project also includes construction of 24-feet-wide service roads at both sides of the nullah for which there is hardly any space. Back in 2007, the city government announced that it will start the channelisation of the 13.5 kilometre-long Gujjar Nullah after the removal of encroachments. The then Karachi Nazim Syed Mustafa Kamal had approved the project at an estimated cost of Rs2.7 billion. Gujjar Nullah is a natural drain in the city starting from New Karachi and ending at Chona Depot in Haji Mureed Goth, where it falls into the Lyari River. The project’s cost is Rs12.5 billion, according to a KMC document, which also includes the shifting of 30,000 residents of the area. The nullah crosses Rashid Minhas Road at Shafiq Morr and goes towards Café Piyala Hotel, all the way to Ziauddin Hospital, Liaquatabad before it falls into the Lyari River. The construction work has begun at the bank of Lyari River near Haji Muhammad Mureed Goth, according to the project manager, Ram Chand, who is also the chief engineer of Karachi Development Authority (KDA). The Supreme Court-appointed Judicial Commission on Water and Sanitation also directed the authorities to bring Gujjar Nullah into its real shape. The project director is Municipal Commissioner of KMC, Dr Syed Saif-ur-Rehman and the project is being jointly looked after by KMC and KDA. Initially, the project according to Chand, will only be constructed till Kohinoor Colony, beginning from Haji Mureed Goth, which is 1.3km and it will take four months to complete. The ending point, where the nullah falls into the Lyari River, would be 20-feet deep, he said. He also assured that the 40-feet width of the nullah will be maintained along with a 40-feet wide road at both sides, which would also include four-feet wide footpaths. However, at the points where there will be less space, the width of the road would be reduced, he said. The entire construction work is of Reinforced Cement Concrete (RCC), said Chand. “There will be a one metre wall on both sides made up of RCC,” he said. The Project Director Dr Saif said that the bed of the nullah will also be cemented so that no seepage problems arise in the later stages. Chand also assured of the installation of pedestrian bridges after every one kilometre to let the residents of the area across the nullah. The sewage lines, which fall into the Gujjar Nullah, will be channelized and won’t directly fall into the Gujjar Nullah, he said. “They would go underground through the service road and would fall into Lyari River directly,” said Chand. He claimed that 75% of encroachments have been removed and the rest of the 25%, will be removed in light of Supreme Court’s order. However, when The Express Tribune visited the construction site, there was hardly any space for excavator to enter Gujjar Nullah and excavate filth. The nullah at the ending point was divided into two portions. The water was diverted to the one portion from where it was falling into Lyari River, and in the other, the excavation work was being done. Just a few feet further, a concrete wall was touching the nullah’s bank. “Our excavators won’t go beyond that point if the concrete structure isn’t demolished,” an official at the site told The Express Tribune, accepting that the encroachment is a major hurdle in the construction work. There were huge soil water pipes lying at the construction site, which were creating hurdles for the excavators’ movement. “These pipes are apparently Karachi Water and Sewage Board’s property and they will have to relocate these, when we’ll move for excavation to the other site,” the official said. As for the encroachers, Dr Saif said that there isn’t any compensation programme for the illegal residents. However, if someone comes up with a lease it will be looked after at that stage. On the other hand, KMC’s former director anti-encroachment Mazhar Khan claimed to have removed all the encroachments some two years back from the Gujjar Nullah. He also did not rule out the possibility of encroachments emerging again in two years. Published in The Express Tribune, October 21st, 2018.